Exhibitors will receive their badges at check-in. Please make sure that we have all of the names for your representatives that will be at your booth. Booth assignments will be given during exhibitor check-in (either Wednesday, May 8, 2019 from 3:00-8:00pm or Thursday, May 9, 2019, beginning at 7:00am. Booths are 6ft X 2ft with approximately 3 feet behind the table. Please plan your exhibit to accommodate these dimensions. Exhibitors may bring their own flat tablecloths if they do not want to use the Marriott’s fitted tablecloths. Exhibitors must bring their own pipe and draping. Basic electricity is included in your booth registration fee. Each booth should have a power strip. If you need a lot of power please let us know because there are better areas for that setup. The venue has a glass ceiling, which can admit bright light at midday. The temperature in the exhibit area can vary widely during the day. Exhibitors may want to consider dressing lightly or wearing layers. Pre-ordered box lunches will be available for pickup at the designated table when the keynote speaker will be addressing the attendees. Lunch vouchers will be in your exhibitor packet. Prefer another option? The Marriott has a restaurant on the conference floor, and a wide variety of food choices can be found on Route 110. 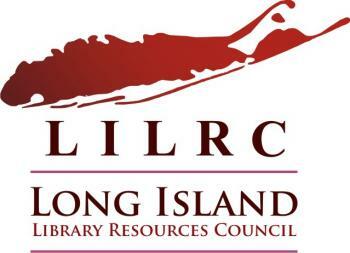 The New York Library Association (NYLA) is handling the payments for the Long Island Library Conference. You can contact NYLA at nyla.org or 518-432-6952. Exhibitors who have not paid their bill will be removed from the conference. Exhibitors are encouraged to have their own raffles. We have included two copies of a raffle winner form for your exhibitor packet. Please select your winner by 2:15pm and bring your completed winner form to the Exhibitor Information Table (where you checked in for the conference). Exhibitors are responsible for awarding raffle prizes to their winners. The Conference Committee cannot be responsible for getting your prizes to your winner. Please plan accordingly. Two security guards will be on duty Wednesday evening into Thursday morning. However, exhibitors should use their discretion about leaving valuable merchandise and equipment at their booth overnight. Boxes may be shipped to the Melville Marriott to arrive up to three days before the conference. The mailing address for the Melville Marriott is 1350 Walt Whitman Rd, Melville, NY 11747. The phone number for the Melville Marriott is (800) 228-9290. A Wi-Fi access code is included in the booth registration. Please email LILCExhibits@gmail.com to have any other questions or concerns answered.